Markus: Franz' latest missive arrived and so I say what I have been up to. I just returned from the Justice Ministry in Latvia where I and Suvituulia had been staying at Laura's place. We did talk about video-bridging, but the main reason was the Riga Good Times couchsurfing event. I also got to check out the village where Lauras mother and father live. Her mother supports organic farming (her job is certifying places as fit) and they have a few animals and vegetables. A traditional sustainable way of living. Its something my parents do (grow vegetables) and also Suvituulia's - last weekend I went to the small holding that was a state of the art farm when built in 1929. In both Laura and Suvi's cases the effects of development can be seen. Suvi's folks' farm has been bisected by a road. Laura's folks' place has seen many new houses built around with no apparent planning control. In both cases old houses were of wood and new houses are of brick. Metal sheeting rooves are being replaced with brick tile rooves. As of now both places have compost toilets, but new building changes this to water closets. Suvi's still has well water, but Laura's now is not using the wells any more. Although there is a spring nearby that she does take water for drinking in the city. Such changes seem insignificant, but they do lock people into urban and wider usage trade patterns and move away from independence, autonomy and real connections with the land. Both places have some kind of net connections, but they are not as good as in the cities nearby. The poster behind me says - THAT'S THE WAY - IT SHOULD HAVE BEGUN! BUT ITS HOPELESS! Here I have been working quite heavily on several things. I have been using Appropedia and you can use it too. Its free and all about collaborative working and sharing connections. The Center of Contemporary Art Pispala will create a series of geographically accurate virtual spaces in Second Life. The spaces are based on disputed maps and satellite pictures of forest conflict sites in the Northern hemisphere. These virtual spaces existing in the Internet are open to everyone via a web-site. Well here we have been using Second Life. This allows us to make info boards, hold lectures, which can be recorded as machinima movies and to stream content. We can also construct worlds, rather like an architects drawing to test out different possibilities. It has a real potential for learning environments. Although there are cost and environmental implications it has a potential to save in both of these. Forest Conflict project will be helping city folks connect with some very remote forest locations (Finland, Russia and Canada are selected spots already). It is so that next year is the UN Year of the Forest, so perhaps we will do some more related with that. 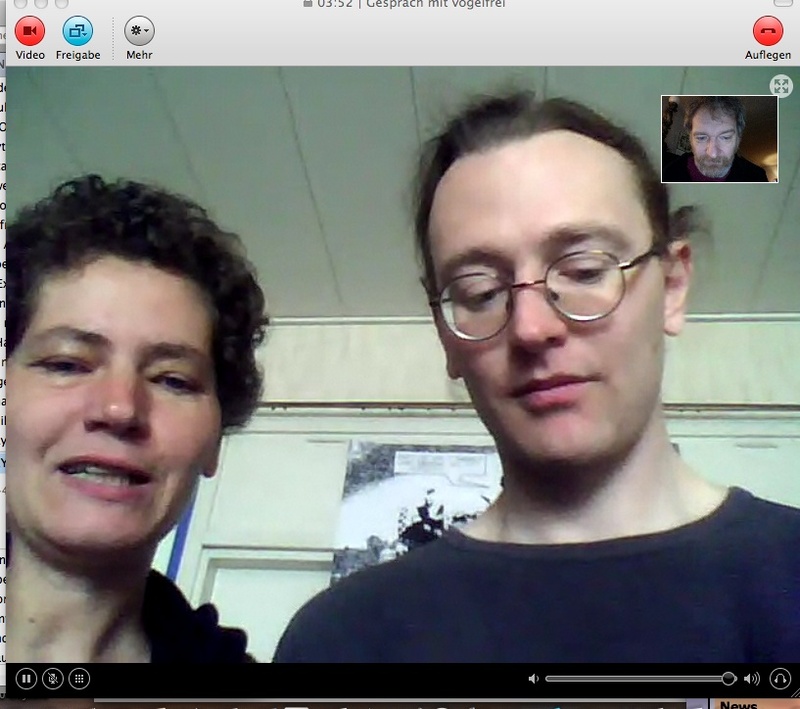 What a surprise: While Franz is visiting HelgeLoider in Zissersdorf, he initiates a videocall with MarkusPetz and who is there: AnnetteLeeb - what a connector! So this is the beginning of the Finish country page in the VideoBridge Wiki.